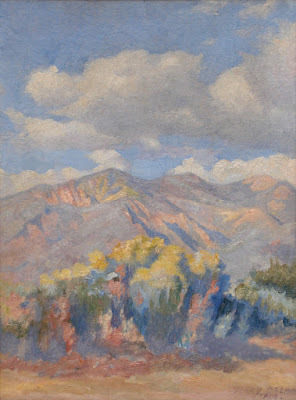 Oil on canvas, 11.4" x 9.4"
Henry Balink found Taos, NM, via a Chicago railroad travel poster. 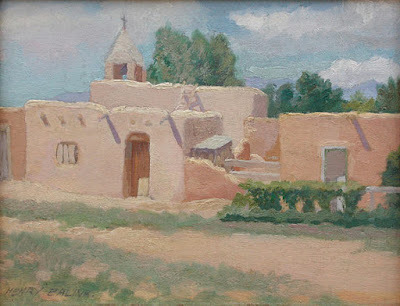 He and his wife Maria Wessing settled in Taos, New Mexico on Ledoux Street in 1917. 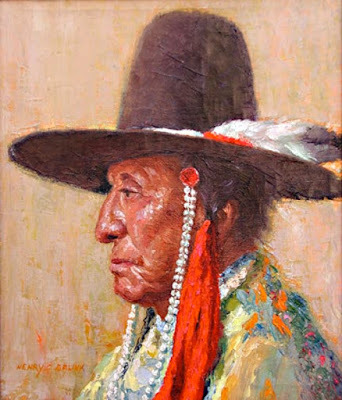 They moved to Santa Fe in 1923. He was overwhelmed at his reception in Taos. 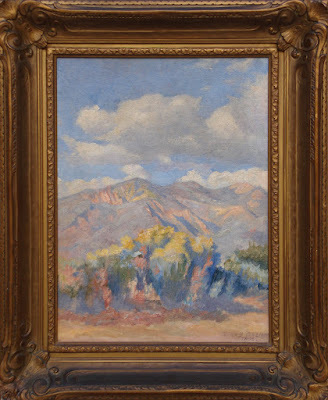 "I wanted to go more West and I landed in Taos where I am now 6 weeks, and all ready I sold 5 pieces." National Cowboy Hall of Fame and Western Heritage Center in Oklahoma City. 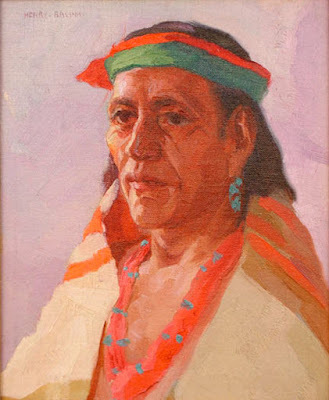 Over the course of his career, Balink painted over sixty-three different Native American tribes. Parsons does not offer Henry Balink prints, because no print can compare to the real paintings.